We don’t have birthday cakes around here, we have birthday pies because we like pies better than cake. 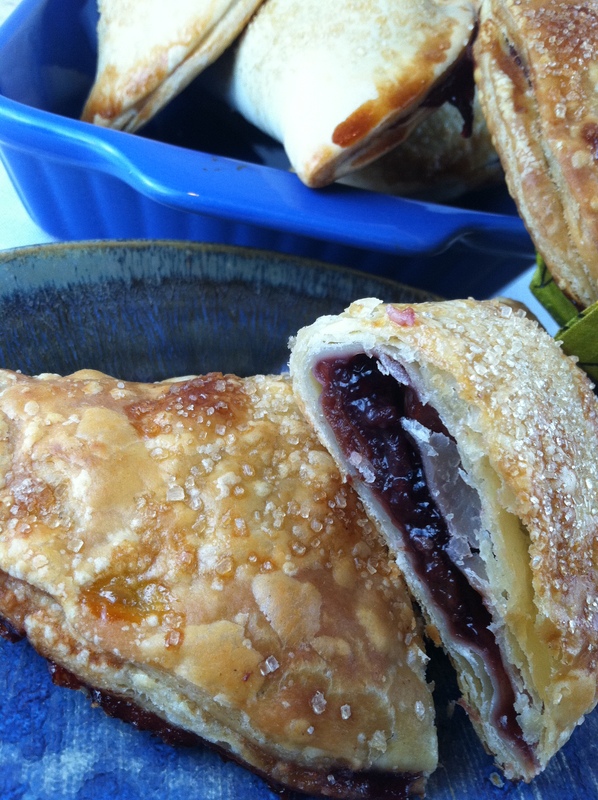 What better way to have pie than to have a hand pie? NOTE: No innuendo intended with “hand pies”. That’s what we call them. The guys often giggle and I won’t quote a recent comment. Although they did say the hand pie was better. . .
What is a hand pie? Hand pies are small individual pies you can eat in your hand without a knife or fork or even spoon for that matter. It is highly recommended you do have a napkin. 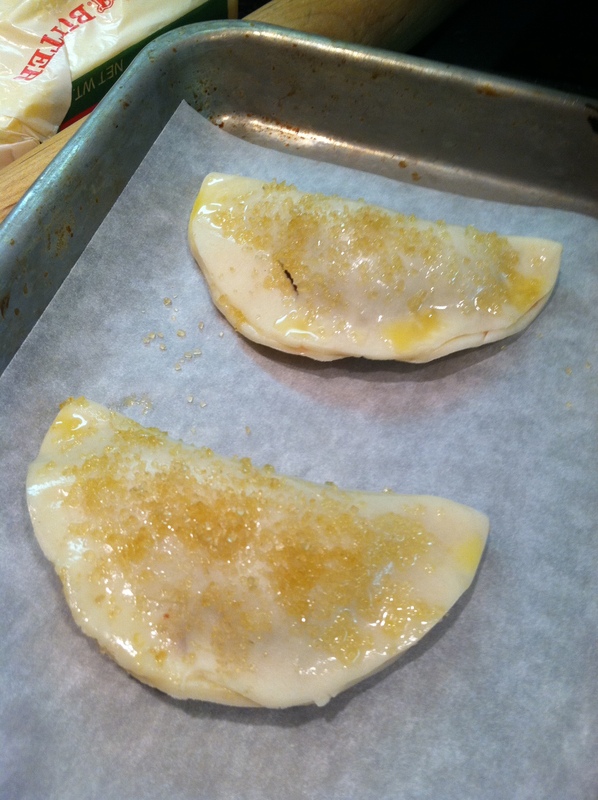 Hand pies are sweet or savory and filled with anything your heart desires. If you think of savory ones like mini calzones and sweet ones like small turnovers, you will have lots of ideas on how to fill your lovely hand pies. I had these cherries left over from another project and thought hand pies would be perfect since there wasn’t enough to make a regular sized pie. There were several apples in the refrigerator that needed to be used so I diced and sliced them up and created some apple hand pies too. 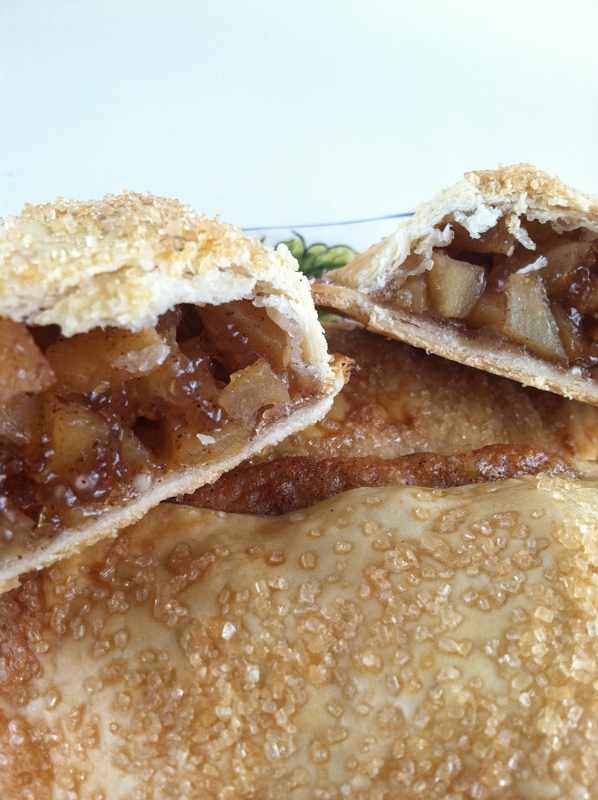 Warm apple hand pies are a real treat, eating bite by bite, while sipping a hot cup of coffee. Any fruit pie filling from apple, cherry, blueberry and anything you can dream up. What ever style you make, make sure you have the fillings cold. You can buy the ready-made pie dough or you can make it. Since it is so ridiculously easy, there is no reason not to make it yourself. Best method is to use a food processor. It is simple and super fast. If you don’t have a food processor, you can use an old-fashioned pastry cutter or even two knives to cut the butter into the flour. Add the flour, salt and sugar if using to the bowl, cut in the butter until the mixture resembles coarse corn meal. Add the water a tablespoon at a time to bring the dough together. You may need all of the water, or just some of it and if the dough feels dry, you may need to add more. Note: Some people like to sub half of the water with vodka or white vinegar claiming it makes a very flaky crust. Try it and you be the judge. As long as you do not overwork the dough by kneading it or over mixing, and you can still see bits of fat in the mix, your dough should turn out flaky. Just mix the ingredients until they come together, and keep the dough cold. You are not making bread so don’t knead! After mixing the dough, flatten the dough into a disk, wrap and chill for about 30 minutes. 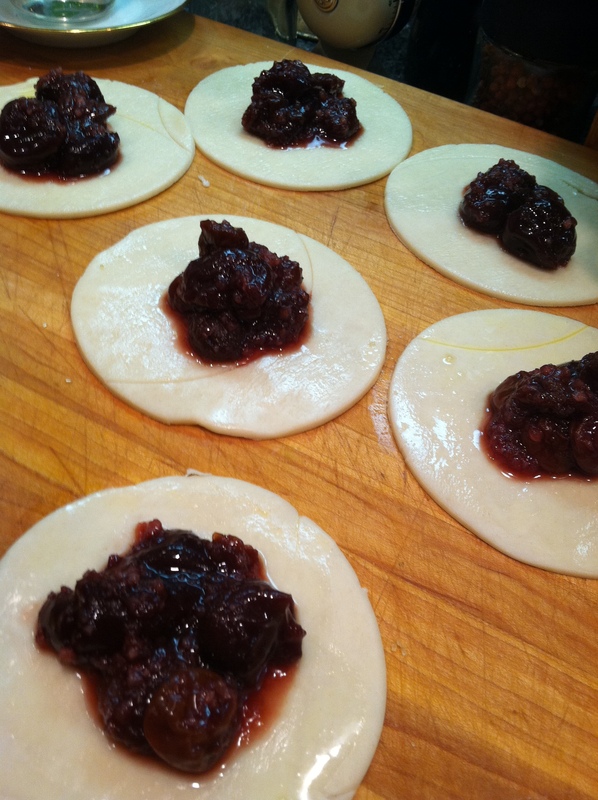 To make the hand pies, roll the dough, cut desired shapes. I chose to use round cutters to make half-moon shapes. You can use whatever shape you want. Re-hydrate the dried cherries in cherry juice from the canned cherries. Mix everything together in a bowl and allow to sit for 15-20 minutes for the tapioca to soften a little. Roll out the dough, cut into shapes, egg wash, fill, fold and pinch the seams closed tightly. Egg wash the outsides of the pies and sprinkle with sugar. Bake in a 350°F oven for about 20 minutes or until the dough is golden brown. Mix all ingredients in a bowl and allow to sit for 15-20 minutes. Stir occasionally to mix the juices as they develop. Make and bake the hand pies as described above. The hardest part is keeping them around until they cool; hands come from all directions and these lovely morsels disappear almost instantly! 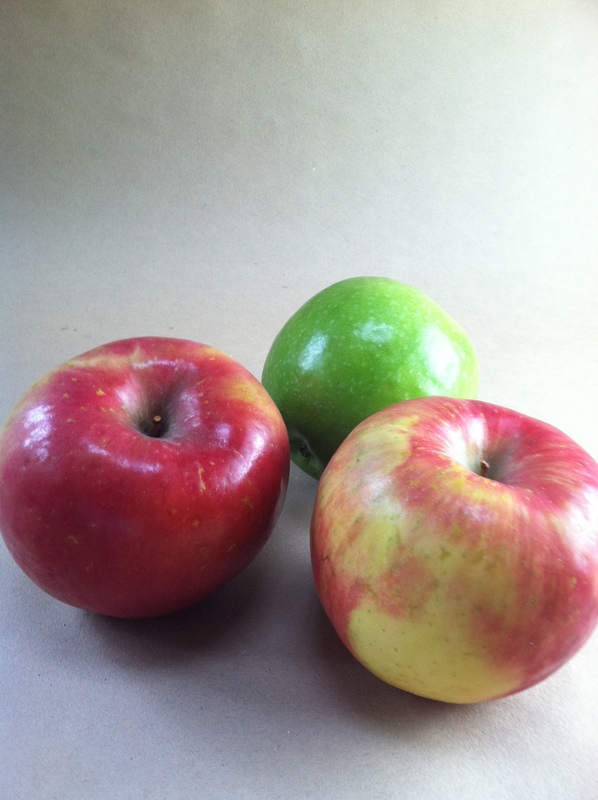 This entry was posted in Recipes, Southern Cooking and tagged Apple pie, Baked Goods, Baking and Confections, broccoli and cheese, Cherry, food, Home, mini calzones, Pie, Pies and Pastry, Recipe. Bookmark the permalink. Pamela made these with cherries for my Thursday night music group last week and the guys’ eyes were rolling back in their heads with ecstasy!